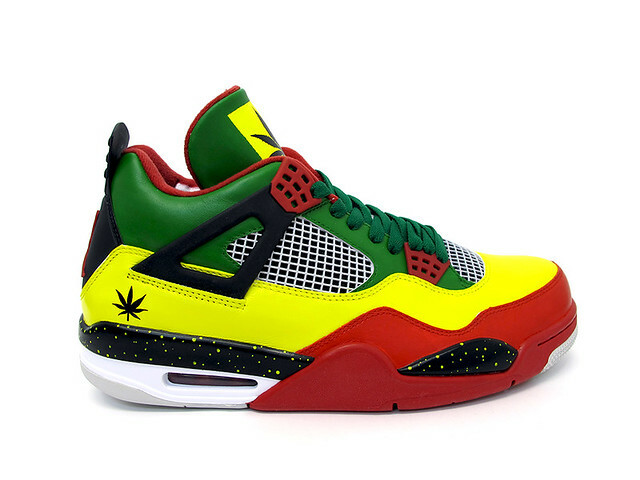 Possibly in the spirit of the recent legalization of marijuana in Colorado a customer hit me up to make him a pair of Rasta influenced custom IVs. After quite a few designs we decided to keep it simple on this one and do a nice solid colorway and I think the result really speaks for itself. How can i get a pair of these?? u can make another pair that I could buy? I need a pair please. ..how do I purchase them? Please email me at info@sekured.com cheers mate! 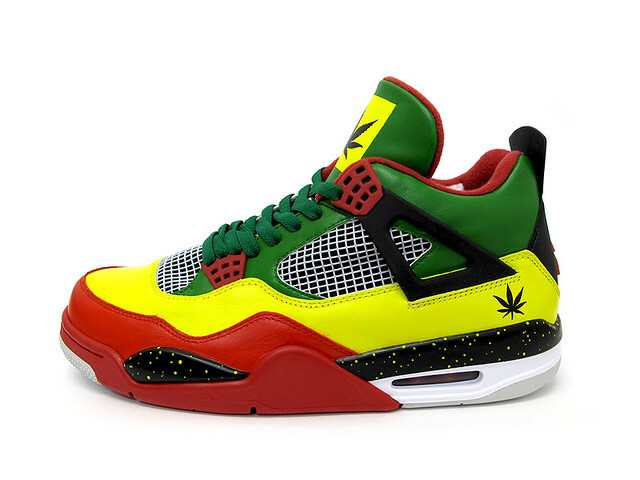 Just looking for a price for the Rasta Jordan 4’s. Blessings! 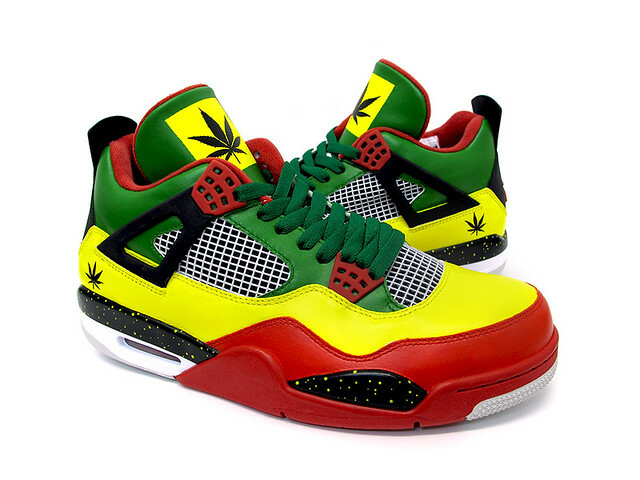 how can I get a pair of these shoes??????? Was wondering if these could still be made. If so how much and hw long does it take? P.s. I’m born and raised in Colorado! Hello where can I get a pair of these trainers ?